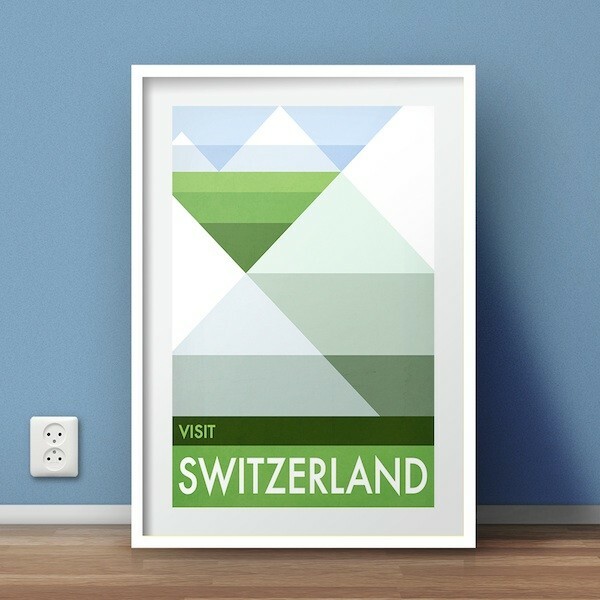 I am currently working on some new simple, geometric travel poster designs. After the flat Dutch landscape and the rolling hills of England, we now have mountainous Switzerland. 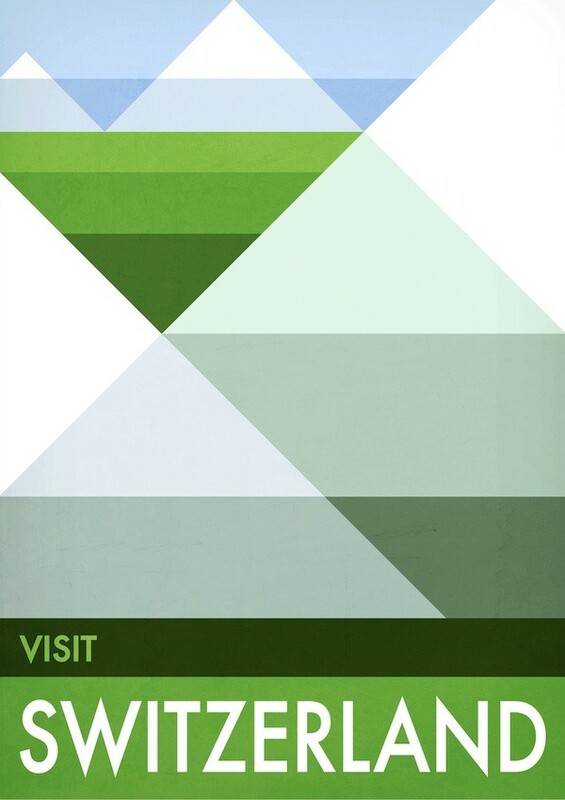 Using simple geometric shapes I have tried to recreate my memories of the Swiss landscape: cold crisp clean air, green fields & snow-capped mountains. This design is now available from my website.